Sorry about my lack of recent reports after my last set of trips I had to run out of town as soon as I got home to deal with some family obligations. I will put the pics up of those trips. Some good some not so good.I did fish superbowl weekend though with some pretty good action. On saturday I had Allen and his friends from north tx. The weather forecast wasnt so great but we went anyways and did make a day of it. I was taking so many waves over the bow I decided to stay in a little closer then normal in some beautiful water that was loaded with blackfins. We trolled pretty much all day long and managed to put one hooter in the boat on a bomber and also caught 10 blackfins on bombers and rapala xraps. 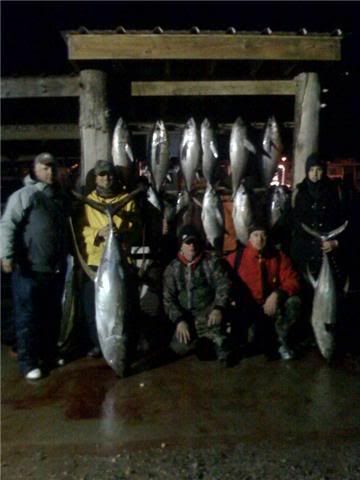 All of the blackfin were 15-25 pounds and definitly were appreciated on a rough day.Superbowl sunday was supposed to be a much better day weather wise and while it was colder the waves were a lot nicer to deal with. 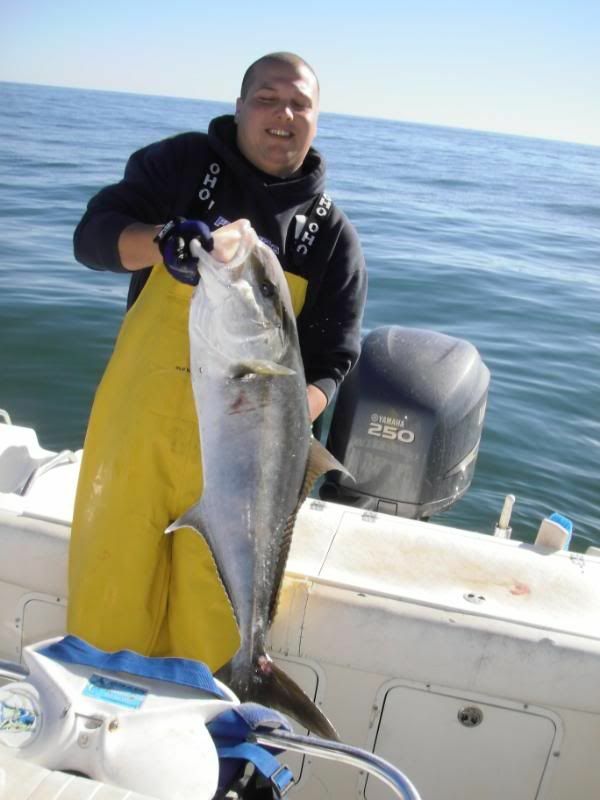 Capt Lee had my group from the day below and they were rewarded with good weather and great fishing. 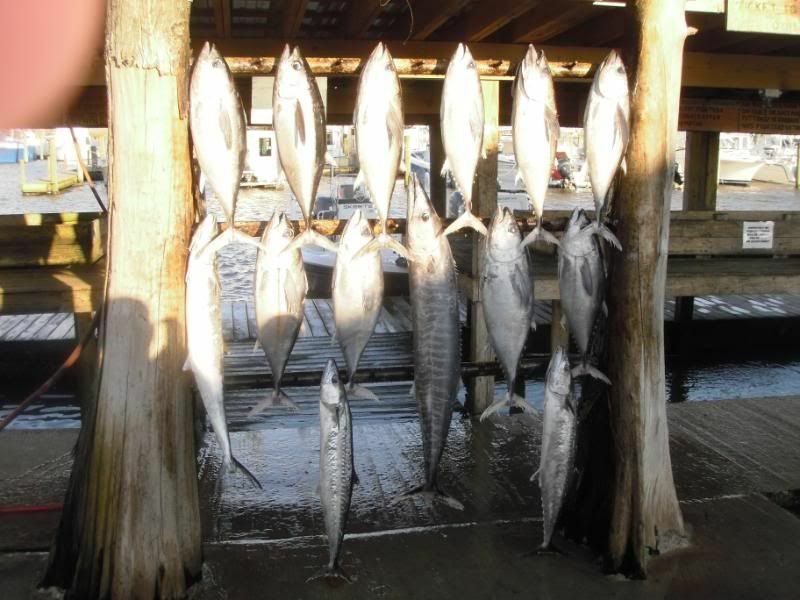 They started off on a shrimper and put 18 blackfin in the boat that morning before they made it over to the spot. 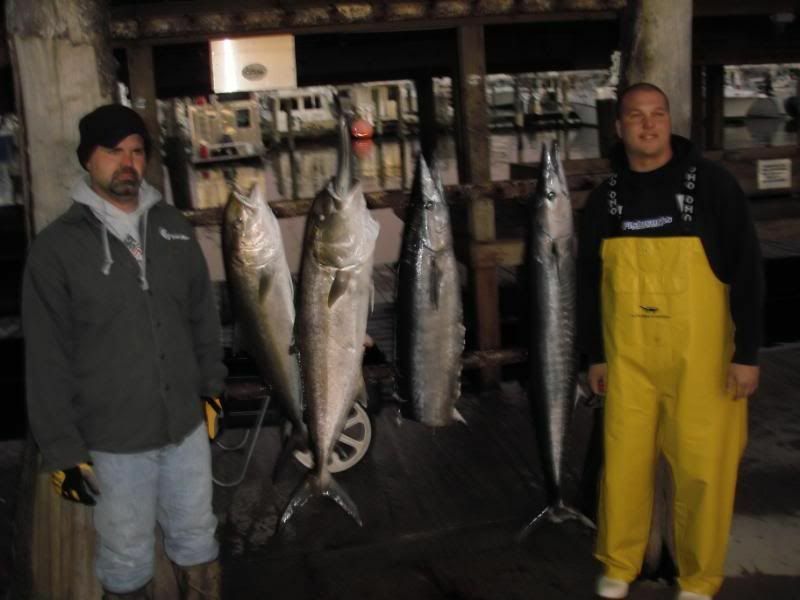 I think they missed a couple good ones and also added a 140 pound and 70 pound yf to the mix to end up with a good full fishbox.I had Jim Farmer and his son along with fred and his son on my boat. 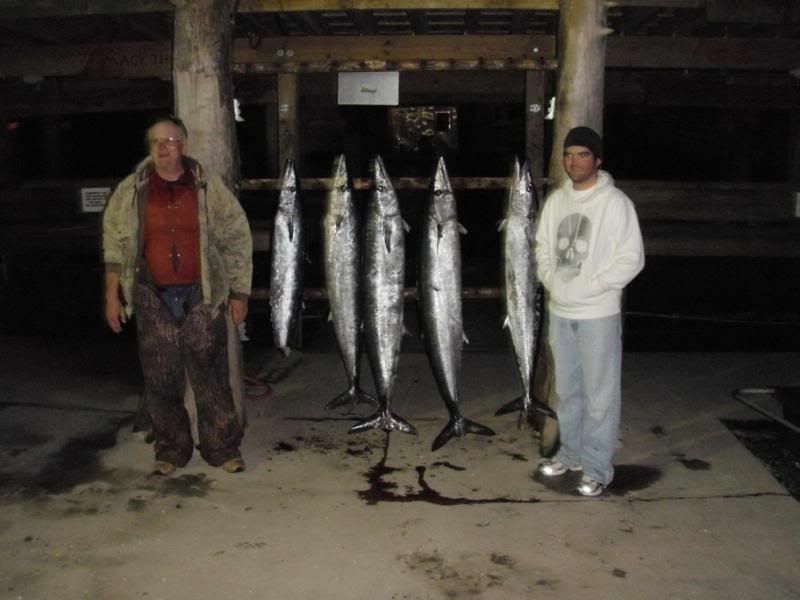 We started off with some wahoo action but didnt get any nibblers so I headed over to our final destination and put about 6-7 kings in the box for bait. 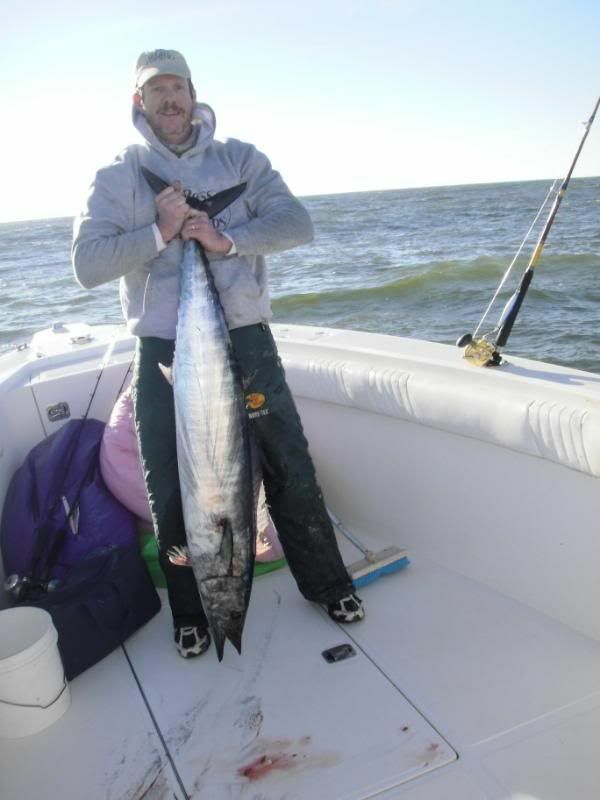 On our first drift we hooked a king and a shark and then tripled up on quality yf. 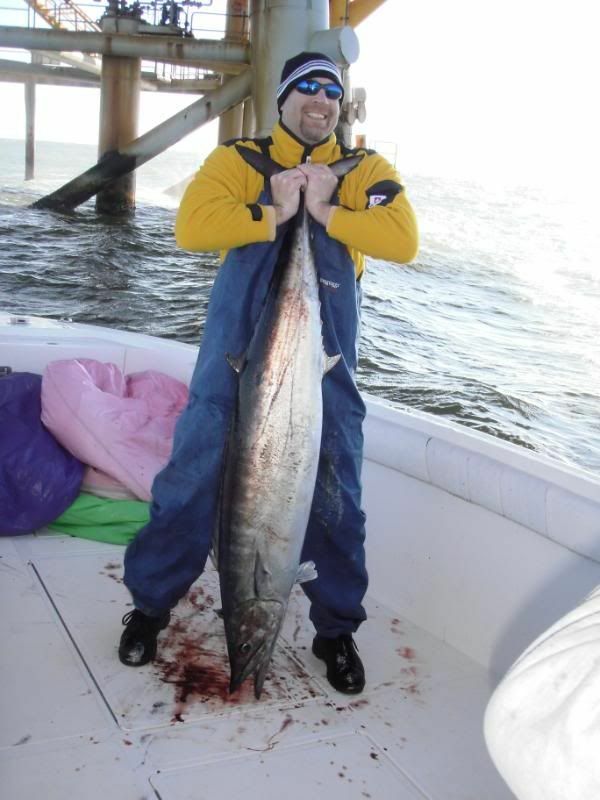 I kept chumming and saw another one in our slick so as soon as one of the tuna got boated I hooked up again and resumed our triple. 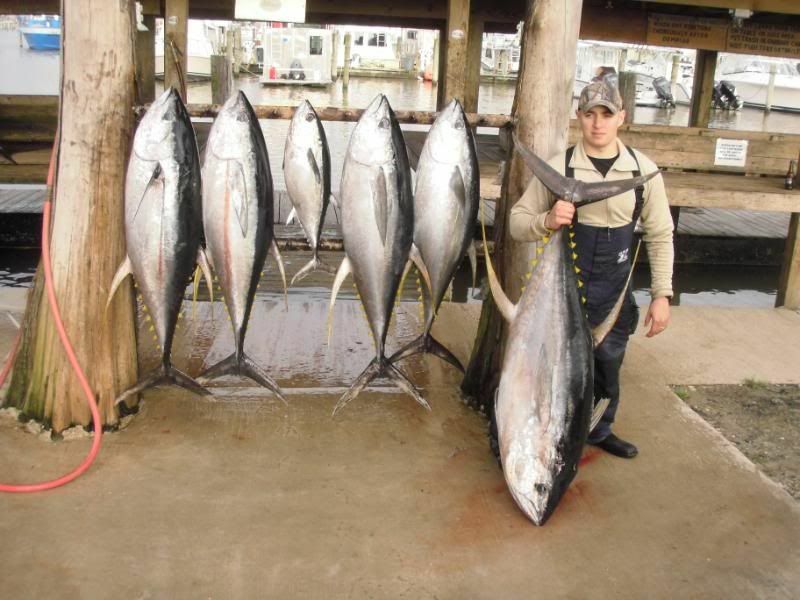 After a good long fight we gaffed all 4 tuna and put them in the box. After that the sharks moved in so I moved over a little bit and immediately hooked up on a big yf. While the guys were fighting him we had an encounter with a giant mako. It took about 30 minutes to hook him from the first time we saw him and it was ON. The mako gave us 4 good jumps and I estimated it at 800 pounds plus. I actually think it was the biggest mako I have played with yet. 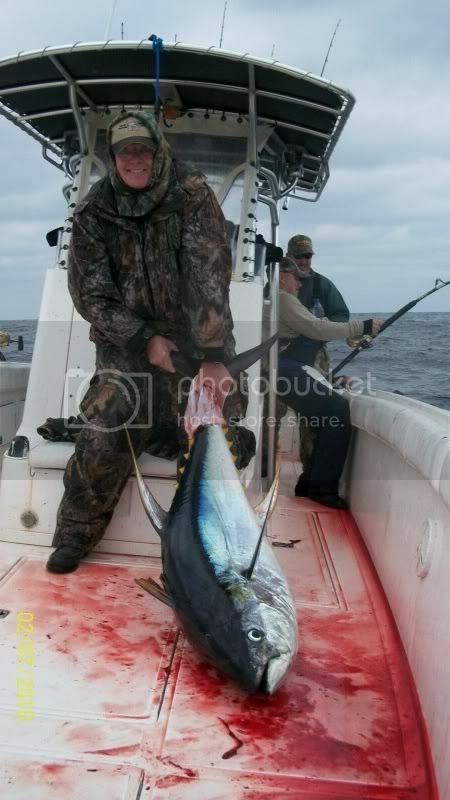 About an hour and a half into the tuna fight we gaffed a 140 pounder and continued our mako battle. 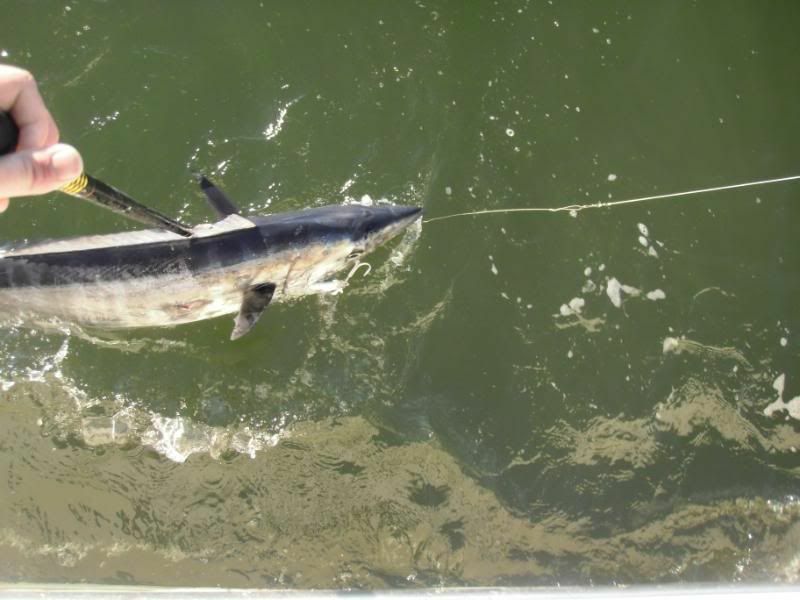 We had him on the line for almost 3 hours before really bad things happened and the mako managed to break off. It was a heartbreaking trip home before the saints game put everybody in a great mood. In fact after the game Lee and I drove from Venice to new orleans to get in on the party and it was definitly an experience.